Come one! Come All! For the REAL celebration of the Birthday of Robert Burns! There will be piping, haggis, whisky, neeps, tatties, singing, and good cheer! 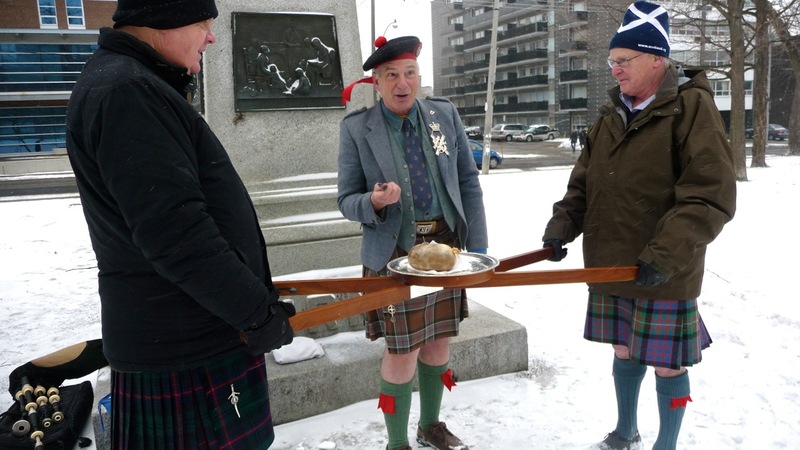 This event can be chilly, but the haggis is warm and so is the company. We gather at the Burns Statue in Allan Gardens to honour Burns on THE day and then repair to a cosy pub to continue with the festivities. Check out the Gallery for photos of last year’s event.